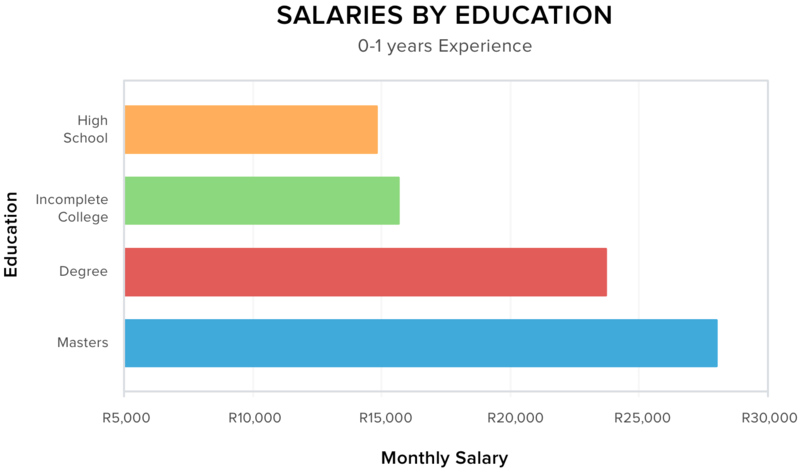 After analysing salary discrepancies between Johannesburg and Cape Town as well as between different programming languages, we wanted to analyse the implications of education on a developer’s earning potential. The developer community prides itself on its accessibility, with anyone with a computer being able to learn and work as a coder. 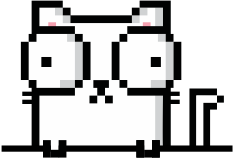 On OfferZen, there are numerous examples of self-taught developers that get well-paid jobs. On the aggregate, however, how does a tertiary education impact a developer’s salary? What impact does a Masters degree have on your earning potential? In order to answer these questions, we compared the salaries of our placed developers with their education and years of experience. The first interesting result was how education impacted the salaries of developers with 0-1 years of experience. A lack of formal education relates to a significantly lower income for juniors. 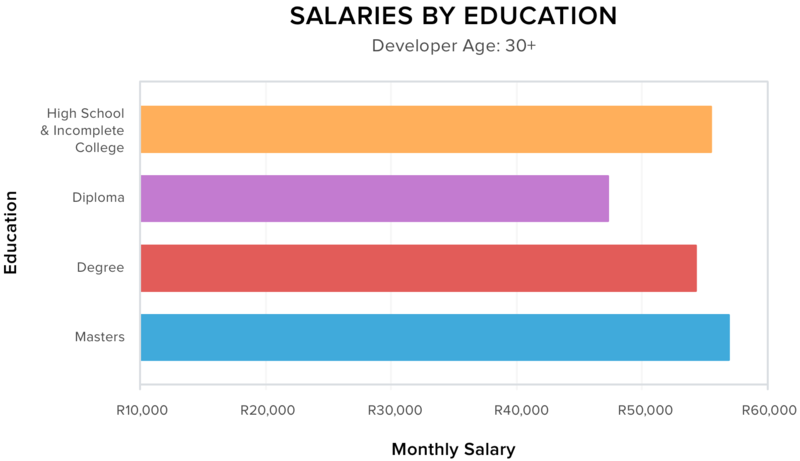 The starting salary for developers without tertiary education is around R15 000, a full 35% less than that of those with a degree and almost 50% less than the salary of those with a Masters degree. This is not surprising as developers without a degree are generally younger and have less coding experience. Without a tertiary education, they also have less exposure to best-practices and the fundamentals of coding. Most self-taught development is focused on problem-solving rather than theory, which can leave gaps in experience. Junior self-taught developers also don’t have any formal evaluation of skill and as such, have to find other ways to prove their value. The easiest way to do this is by reducing the risk for the employer by starting at a lower salary. This effectively compensates the employer for any additional learning that needs to occur for a self-taught developer to reach the level of those with a tertiary education. There are, however, ways a developer without a tertiary education can reduce these imbalances. A self-taught junior can share their side projects on Github or Bitbucket, or ask and answer questions on sites like StackOverflow. For prospective employers, this can function just as much as a “stamp of approval” as a degree or diploma. 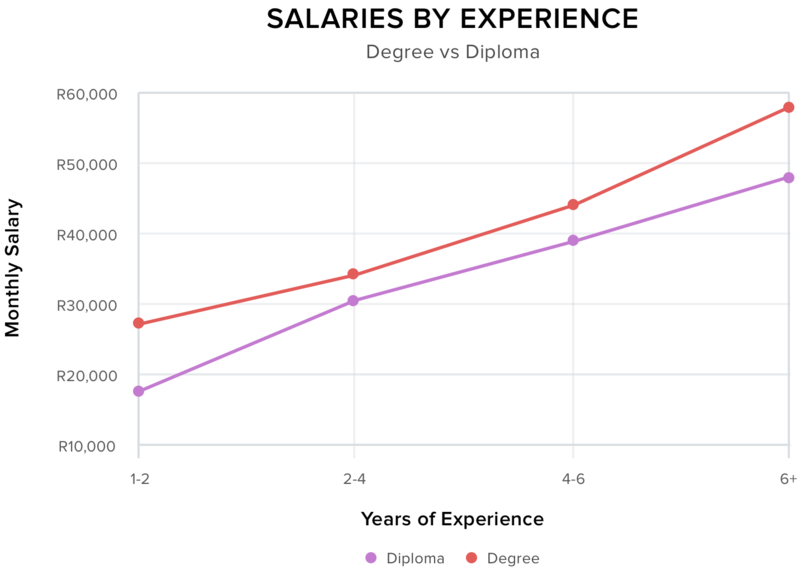 Diploma vs degree - what’s the impact on salary? Should you invest the extra time and resources into completing a degree? Our salary data indicates that it could be well worth the effort. This is especially true when you are a junior; developers with a degree can earn up to 50% more than developers with a diploma. However, it seems that this differential shrinks with time. At 6+ years of work experience, developers with a degree only earn 20% more. A plausible reason for this is that, as a developer gains experience, the impact of their education becomes less significant. 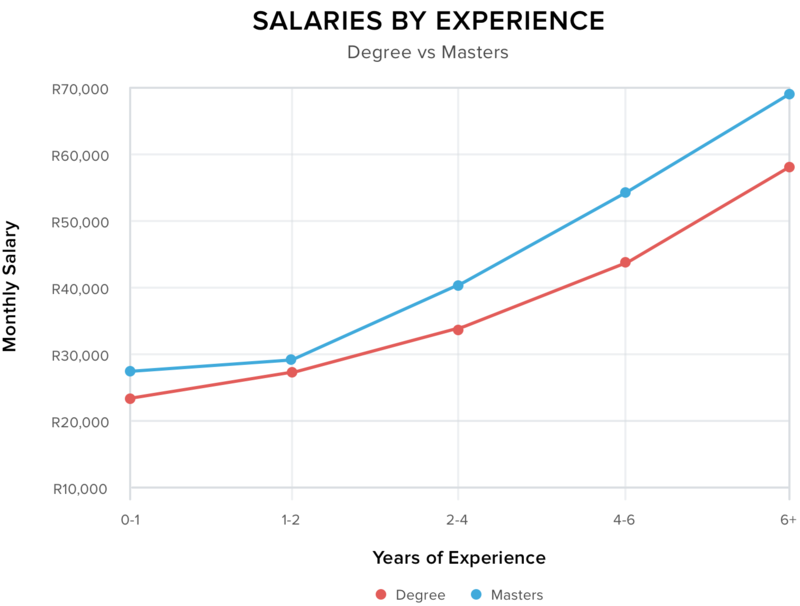 Developers with a Masters degree earn a 20% premium for most levels of experience. Unlike the diploma vs degree comparison, however, this does not shrink with seniority. This might seem like a significant premium, but if we break this number down further, it becomes slightly more ambiguous. Most Masters programs take at least one year to complete, which equates to one less year of working experience. 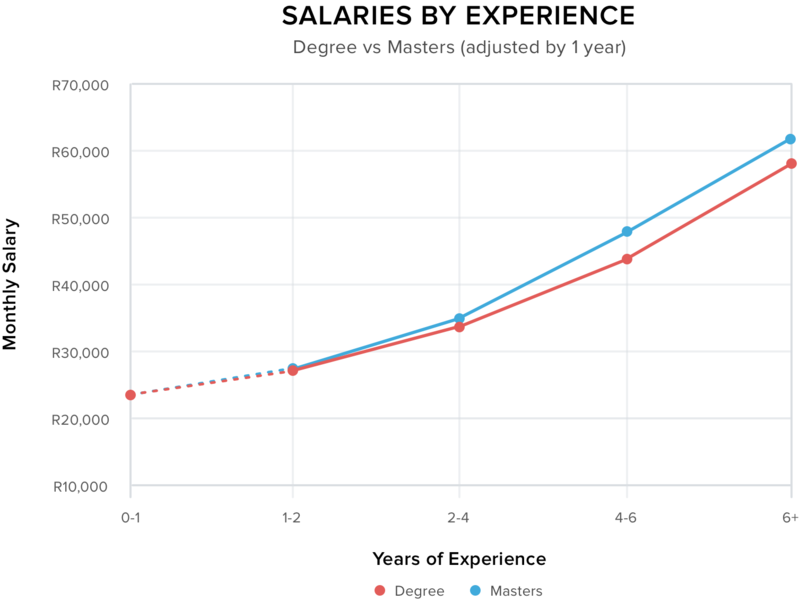 If a developer spends the extra time he would have been doing a Masters gaining experience - how do the salaries compare? This got us thinking. All these different educations require varying amounts of time to complete. Would education still have such an impact on salaries if we were to normalize the time it takes to complete the education? In layman’s terms, what would happen if we only analysed developers over 30 years old? (*) We grouped incomplete degree and high school to make the samples large enough to be statistically significant. Bar the diploma graduates, all salaries are within 5% of each other. This is remarkably similar, especially compared to our previous results, where salary discrepancies ranged from 20-50%. This indicates that, as you become more senior, the relevance of education diminishes. We can thus conclude that formal tertiary education serves a valuable role in jump-starting your career but becomes less important as you gather other skills. Likewise, our data indicates that a developer without tertiary education has no long term salary cap and can earn as much, if not more, as they gain work experience.